When I think about Taiwan’s railways, I immediately think of the Taiwan Railway bento box / boxed lunch (台灣鐵路便當). There’s nothing particularly special about these boxed lunches – no special ingredients, no special preparation, no special packaging. But yet, they are surprisingly popular, and surprisingly delicious. It tastes like comfort food. Inside, you’ve got some basic pork chops, pickled and boiled vegetables, and a broiled egg. This basic lunch (or dinner) is very simple, and very cheap – just $2! 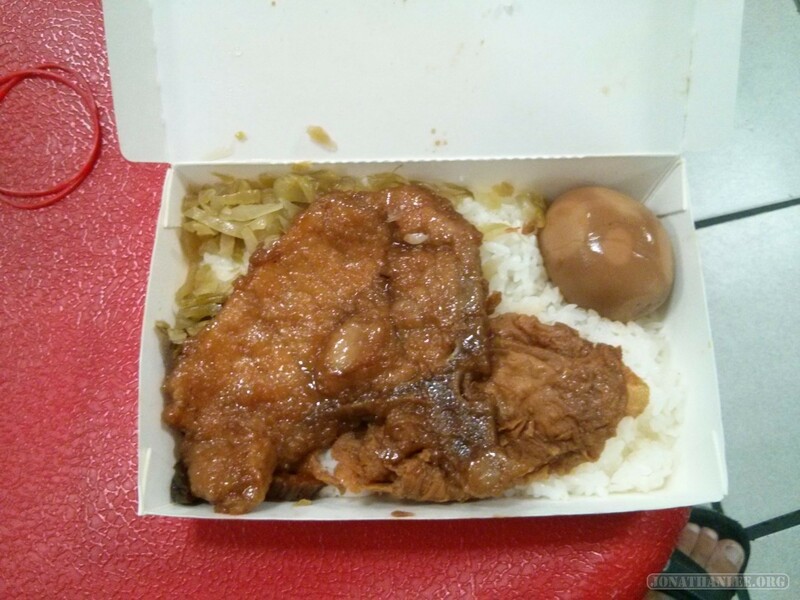 And for the fancy pants, there are also fancier boxed lunches, costing $3 for slightly more food. 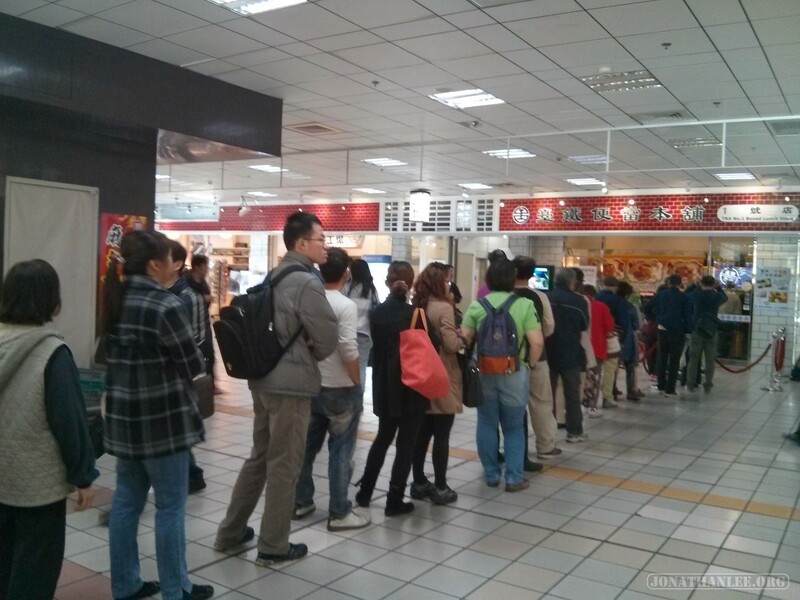 During lunchtime, massive crowds form to buy these boxed lunches. I found that they weren’t big enough to be a full lunch or dinner, but were quite nice as a snack to take the edge off my hunger for a couple of hours. 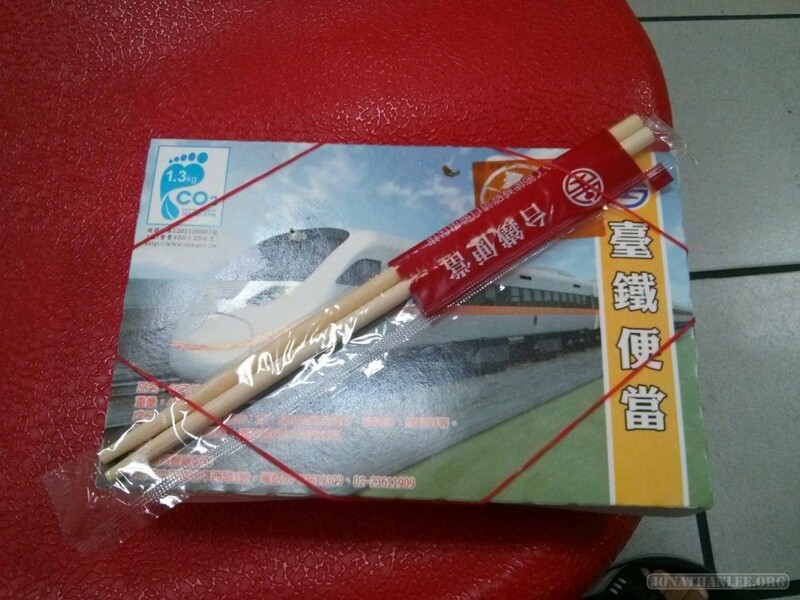 They’re especially convenient since you can not only buy the boxed lunches from onboard the trains, but also in most train stations, including Taipei Main Station. 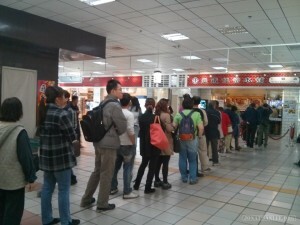 While waiting for buses and trains at Taipei Main Station, I ate a great number of these delicious boxed lunches! It’s the rice. So so delicious!